Narrowest of the red maple cultivars. Good shade tree where space is limited. 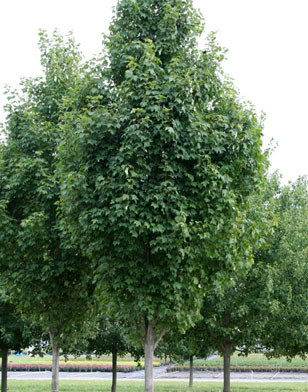 Useful in commercial foundation plantings or as a street tree where overhead lines are not an issue. Nice yellow to red fall color. IMPROVED NATIVE.